The feverish pace of Gilles de Maistre’s The Quest of Alain Ducasse reflects its indefatigable subject, the French chef with a global presence. 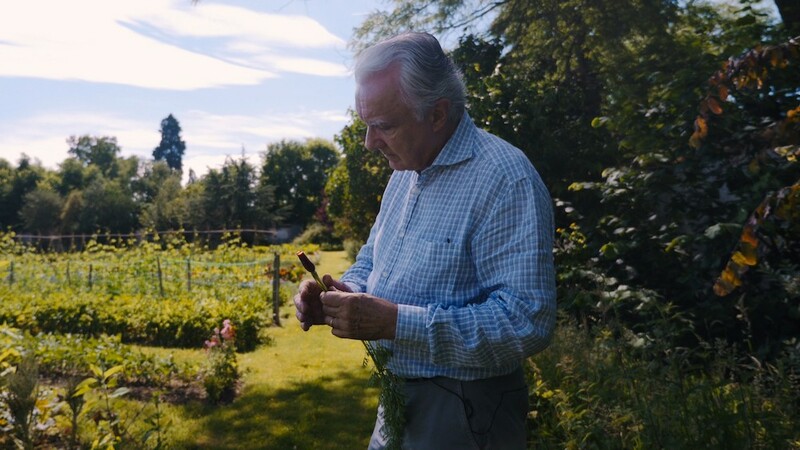 For eighteen months, de Maistre followed Ducasse to the outposts of his food empire (currently 28 restaurants), bookending this observational documentary with visits to Versailles during the creation of both a classic bistro and opulent dining room fit for royalty. This may seem an odd subject for de Maistre, whose previous work focuses on disenfranchised populations, but the filmmaker doesn’t view Ducasse as just an elitist chef for wealthy clientele. In his astute look at the artistry and business of food, de Maistre makes the case that haute cuisine serves the same function as haute couture, creating an indelible experience while encouraging new ideas to filter through the industry. During one of the moments when his insistent voice breaks in to offer background or insight, de Maistre remarks that the only time he actually saw the chef cook was on a Japanese television show. Ducasse, now 61, has evolved into something more: a tastemaker who’s elevated what acolyte Dan Barber calls “peasant food” to Michelin three-star level and who writes cookbooks extolling the use of fresh, local ingredients to make simple, nourishing French cuisine. De Maistre also reveals what Ducasse’s many employees have already intuited: Don’t play poker with him. While his finely calibrated palate analyzes a dish, Ducasse’s face is expressionless, and his chefs hold their breath in anticipation. They strive to please the soft-spoken, exacting patriarch, knowing that he wants them to succeed, but only if they adhere to his philosophy of respecting tradition through refinement and innovation.